Our interview (podcast) with the Association of Certified Crime Specialists regarding the criminal investigation into Brazilian soccer coach Luiz Scolari by Portuguese authorities for money laundering arising from tax fraud. “The head coach of Brazil’s national soccer team has one more thing to worry about before the World Cup held in his home state. Besides leading his team to victory in the world’s largest soccer tournament, Luiz Felipe Scolari is now under criminal investigation in Portugal for suspected tax fraud and money laundering. 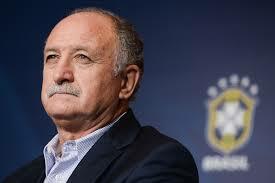 Scolari allegedly used a network of companies in the Netherlands, the UK and the Virgin Islands to transfer 7.4 million euros in undeclared income from Portugal to a bank in Miami. Portugal’s tax authorities requested US assistance in the case in 2012, but it was just last week that a US district judge approved the request, allowing Portugese law enforcement access to accounts in the US. This case presents an example of how Portugal is stepping up efforts against tax evasion, and also highlights two trends in tax enforcement: increased cooperation between countries, and the use of money laundering laws to target tax crimes. Here to discuss this case and the international fight against tax evasion and fraud is Christine Duhaime, an attorney with Duhaime Law. Ms. Duhaime focuses primarily on the areas of financial and institutional regulatory compliance, and has a specialized financial crime and anti-money laundering practice. She offers insights on the growing intersection of money laundering and tax evasion enforcement, and sheds light on how nations are coordinating efforts in multi-jurisdictional cases.